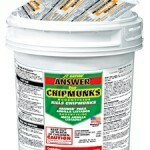 This is the only rodenticide that we have ever seen that is labeled for Chipmunks. 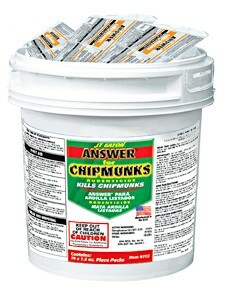 WHERE TO USE IT: Should be placed in a tamper proof bait station in close proximity to the chipmunk holes. RATE OF APPLICATION: Continue feeding until no more bait is being taken.